Home / 4. 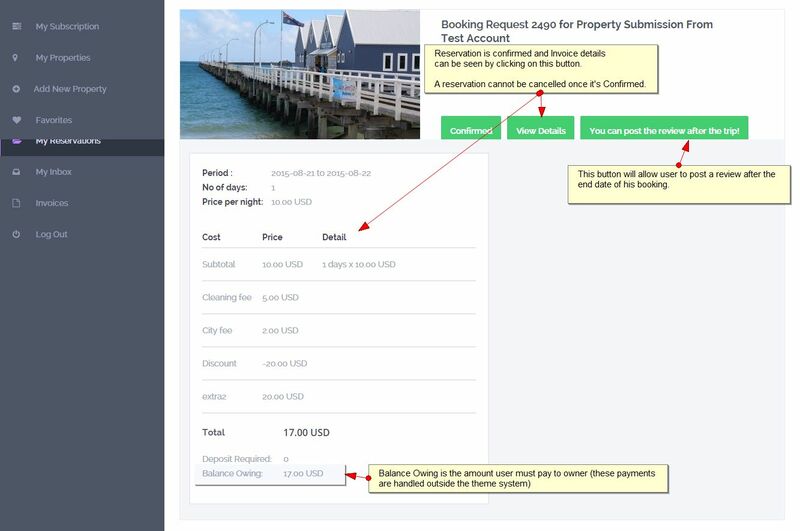 How Booking Works / SEND A BOOKING REQUEST. ONLY REGISTERED USERS CAN SEND A BOOKING REQUEST. 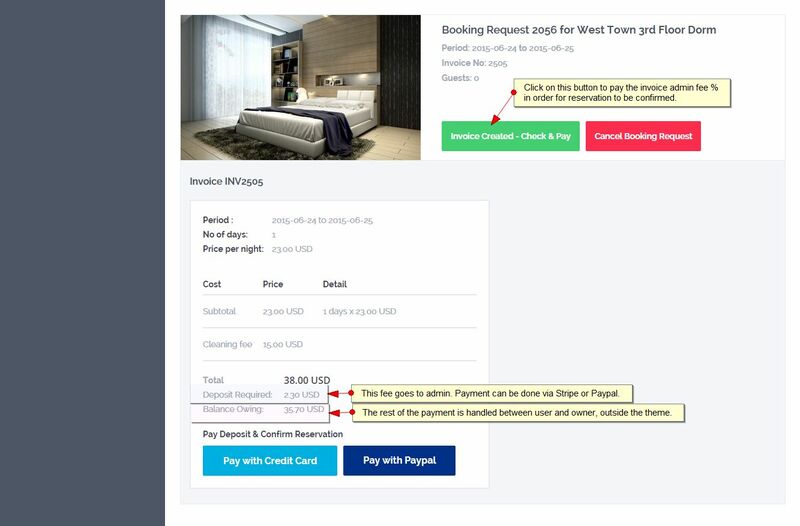 THE THEME HANDLES ONLY ADMIN BOOKING FEE PAYMENT (if enabled). The rest of the payment must be completed between users, outside the theme. 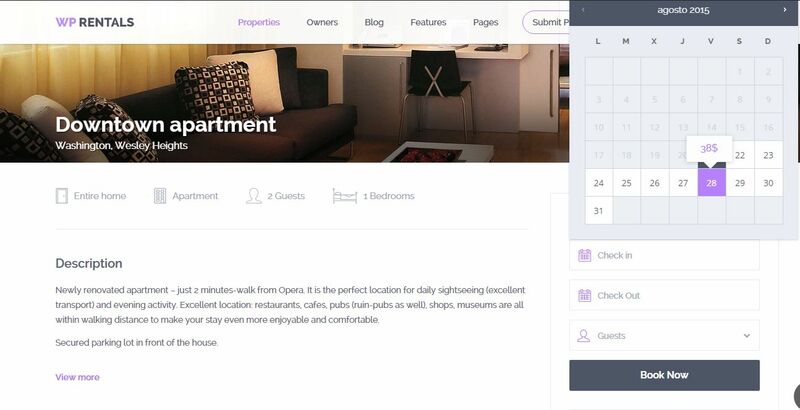 Booking requests are sent from property page – the booking form. Purple means dates are BOOKED and those dates cannot be booked again. On hover user sees price per day. When owner approves the reservation – he will be notified via email that an invoice was generated. 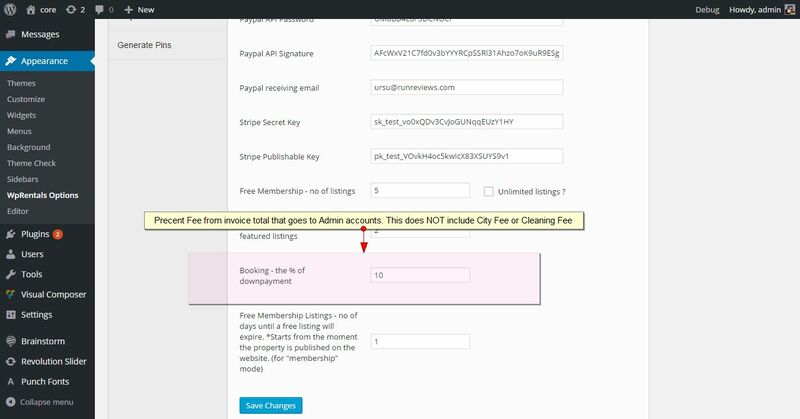 If admin enabled that fee from Theme Options – Membership Settings, user submitting the request must pay the invoice fee to ADMIN before that reservation is confirmed. A confirmed booking will show in My Reservations with Invoice Details available and the Review Button new to it. Review button will be available after confirmed booking end date. 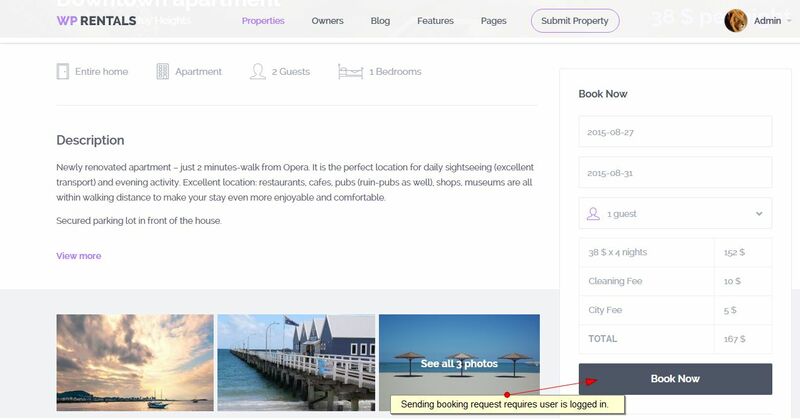 If Admin sets booking fee to 0 – owner will confirm booking instantly – without payment required. If you do not wish to charge a booking fee, make sure that you add 0 and not leave blank. Delete bookings only from owner account (My Bookings page), not from admin.